JNTUK Kakinada : Procedure To Apply For Migration Certificate. JNTUK Procedure To Apply For Migration Certificate.Below We Have Provided The Instructions (Or) Procedure Of How To Apply For Migration Certificate.The Candidates Who Are In Need Of A Migration Certificate Can Apply At JNTUK Kakinada University. Also Read : JNTUK Kakinada : Procedure To Apply For Provisional Certificate (PC) & Consolidated Marks Memo (CMM) – Normal Process. Step-1:- This application is meant for the candidates who are passed outs from Jawaharlal Nehru Technological University Kakinada, obtained their Provisional Degree are eligible for applying Migration certificates. Step-2:- The students have to pay the amount Rs. 200/-. Step-3:-The amount can be paid either by making online Payment (using Master/Visa Credit/Debit (ATM) cards) or by making the payments at any branch of SBI using the on-line Challan generated by this Online Migration Application. Document 1:-Aadhaar Card(front,back) - (in .jpg and size between 50 kB to 200kB each). Document 2:-Migration Certificate application form duly signed by the College Principal and the student - (in pdf and size between 50 KB to 200KB each). Document 3:-Secondary School Certificate(SSC) - (in pdf and size between 50 kB to 200kB each). Document 4:-Provisional Certificate obtain from the University(PC)- (in pdf and size between 50 KB to 200KB each). Step-5:-The Candidate has to upload Educational Details(like PC,SSC) and Personal details in online-application. Step-6:-After successful completion of application, the application will be given a unique application number. Quote this application number and maintain the Generated Application form for further correspondences. Step-1:- Registration Click on the “Register” button at TOP menu. Step-2:- Please Enter Present Working Email-Id, Hallticket no, password. Note: If you are Eligible for Applying Migration Certificate it shows ” You are eligibile for applying Migration Certificate with fee of 200 only. Instructions for Applying Migration Certificate Please verify the Student name, Father name Printed on Provisional Certificate exactly as per SSC. If any mistake found immediately correct your PC in University(Examination Section) by person and then upload the modified details. Please Enter Valid Email Address and Contact Numbers. Upload scanned (in colour and clearly visible) copies of SSC, PC and CMM in pdf format. The maximum size of each document is 200 kB. Migration Certificate will not be send by Post. Please verify the Student name, Father name Printed on Provisional Certificate as per SSC. If any mistake found immediatly correct your PC in University (Examination Section) and then upload the modified details. The printed Migration certificate will not be send by post it should be collected from the university. Except Original Degree Certificate will not be send by post it should be collected from the university by applied student only. 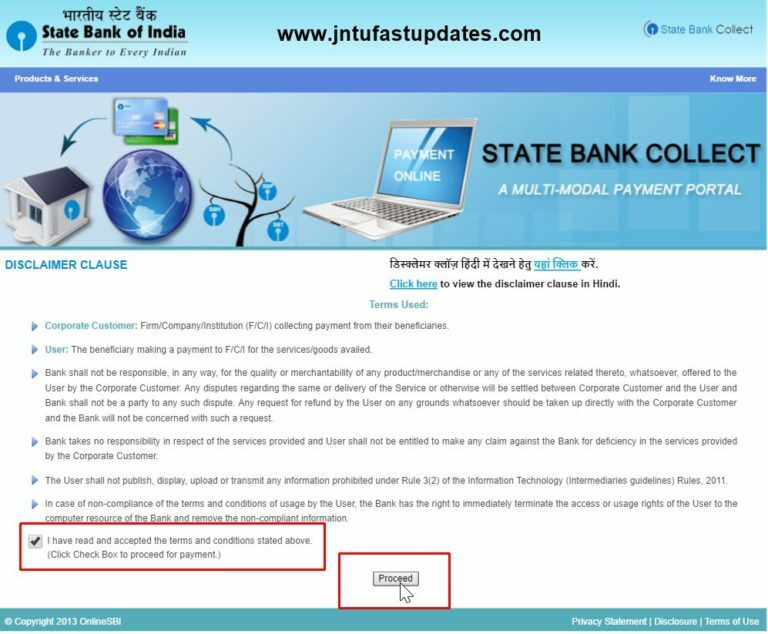 The student / college/ customer has to confirm the fee amount to be paid is correct under right service/ head, i.e. Provisional Certificate, Original Degree Certificate,Migration, Examination fee, etc. Application will be processed only upon receipt of required fee. Application with insufficient payment will not be processed/ entertained. Application/Service fee + service charges + Taxes as applicable; will be debited from student / college/ customer account. Payment made for one service will not be considered / Adjusted for other services. Request for refund of excess payment shall be made within 7 working days. Excess payment will be refunded only upon submission of proof for genuine cause. However, the decision of the University is final for refund of excess payment. In case of refund, service charges + taxes as applicable will be debited from the student/ college/ customer account. For any technical queries, Contact No. 0884-2300911 may be contacted during working days. Dont upload the passport size photgraph which is taken by the Mobile, Laptop etc. Upload a recent colour passport size photograph as per the specifications given on the left. This photograph will be printed on the Original Degree certificate. The size of the photograph shall be between 50kB and 100 kB. Upload scanned (in colour and clearly visible) copies of SSC, PC and CMM in pdf format. The maximum size of each document is 200 kB. Upload scanned (in colour and clearly visible) copies of semester marks memos in pdf/Zip format. The maximum size of document is 500 kB. So, Above You Can Get The Instructions For The JNTUK Kakinada : Procedure To Apply For Migration Certificate. You Can Simply Bookmark This Page As Well In Order To Check All The Instructions For The JNTUK Kakinada : Procedure To Apply For Migration Certificate In The Future As Well. So Do Book Mark Our INJNTU.COM Page & Install Our Android App To Get All Notification, Updates & Results Directly On Your Mobile Phone. Don’t Forget To Share This Info About Instructions (Or) Process Of How To Apply JNTUK Kakinada Migration Certificate. Among All Your Friends & Colleagues Make Them Know More About The Process Of How To Apply JNTUK Kakinada Migration Certificate. Also Share This Info On Your Social Media Pages.